Apple’s “Loop You In” event last night wasn’t only about gadgets like iPhone SE, iPad Pro 9.7”, and Apple Watch. The company also announced a new software framework called CareKit, which allow users to develop apps to better understand their own health. To be available starting April 2016, CareKit is an open source development tool that lets users keep track of their health, symptoms and to see if a particular treatment they are receiving is working. 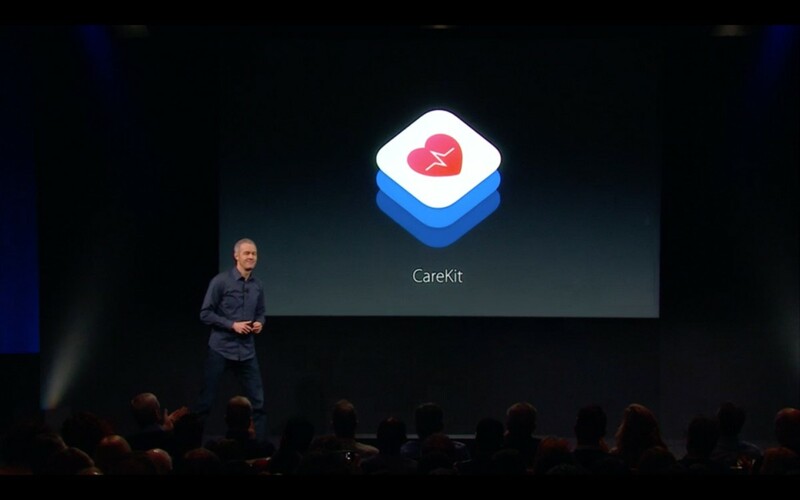 CareKit has four modules designed by the Cupertino company themselves. Care Card to help users track their individual care plans and action items such as taking medication or doing physical therapy exercises. Apple also made a seamless integration with its Apple Watch, allowing the accessory to automatically track and enter the exercise done. Symptom and Measurement Tracker lets users record symptoms and how they are feeling. For example, they can keep track of their progress using simple surveys, capture photos to see the progression of a wound, or use an iPhone to calculate activities like quantifying range of motion. Insight Dashboard can keep track of whether a treatment in Care Card is working. Connect lets users share these valuable information with their healthcare personnel and family members so they are aware of the patient’s health and any change in condition. 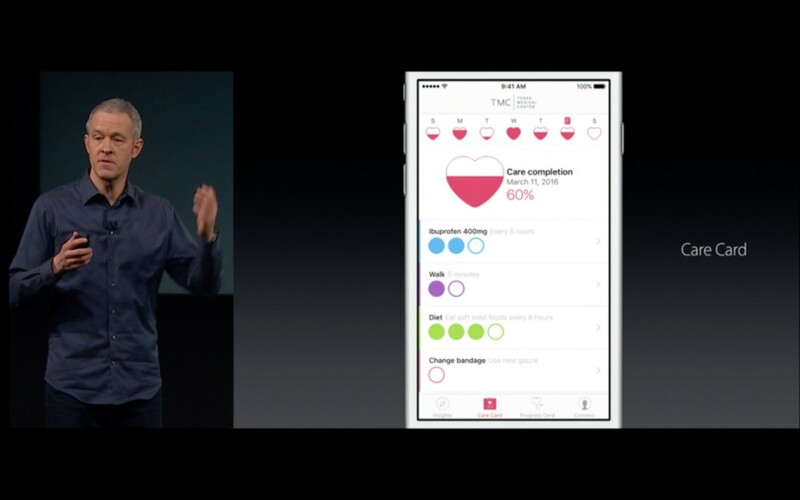 “We believe that giving individuals the tools to understand what is happening with their health is incredibly powerful, and apps designed using CareKit makes this a reality by empowering people to take a more active role in their care.” – Jeff Williams, Chief Operating Officer, Apple.